New Partners Jessa Chupik and Nick Chambers will support boards and organizations committed to having a positive social impact. 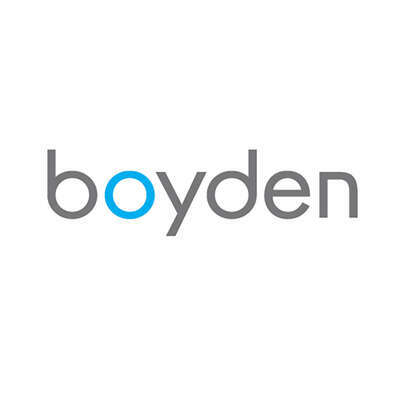 TORONTO, Canada, 23 October, 2017 – Boyden, a premier global talent and leadership advisory firm with more than 65 offices in over 40 countries, today announced the growth of its Global Social Impact Practice with the addition of two new partners, Jessa Chupik and Nick Chambers. Jessa Chupik, a higher education and public sector recruitment expert, is newly promoted to Partner. She joined Boyden’s Toronto office in 2016, and has been instrumental in building the firm’s national academic practice. A highly respected and trusted advisor, Jessa continually focuses on discovering the right executive talent for clients. Nick Chambers, an accomplished talent development consultant, joins as a Partner with nearly 20 years of experience in business consulting, organization development, leadership development and board governance. He is adept at aligning strategic executive talent to the specific needs and goals of his clients. As key members of Boyden’s Global Social Impact Practice, Jessa and Nick will support boards, leaders and organizations committed to having demonstrable and positive social impact. These include a variety of clients that are advancing the discovery and dissemination of knowledge, strengthening the fabric of civil society, and improving the health and wellness of people, communities, and the planet. Jessa and Nick will also serve as thought leaders in diversity, equity and inclusion to our clients across all sectors. Jessa has published several articles about the history of medicine and disability. She also led two highly innovative Ryerson University human resources programs, including an award-winning initiative for faculty and staff undergoing gender transition at a post-secondary institution. Nick’s substantial board contributions include serving with the Ontario Trillium Foundation and the Canadian Club of Toronto, including a term as President. He is also a longstanding member of the selection panel for CivicAction's DiverseCity Fellowship for emerging leaders and city-builders. Earlier this year, Forbes ranked Boyden eighth among 250 organisations on its 2017 list of Best Executive Search Recruiting Firms.